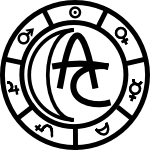 As a handful of you might have heard, Arcana Creations has been trying to dig itself out of obscurity! We've just launched a Kickstarter campaign just a few days ago to publish 5 adventure modules. The are OSR friendly, d20-friendly, and above all... extremely compatible with Castles & Crusades. Those of you that know me might remember me from a while back and, as far as nine years ago, I long with Brave Halfling Publishing began to publish a series of modules for C&C. Those have long been out of print but... this campaign seeks to remedy that somewhat and bring those back (with a few changes here and there). But there are also titles that have not been published before which are also making their debut. At least, that's the plan. I've been writing about the series on my blog leading up to the launch of the campaign and if any of you have some questions... I would love to answer them. These are great adventures for beginning GMs of any OSR, C&C, and even 5e with minor tweaks.